JMS Engineering Plastics, Inc. is a Custom Injection Molder. 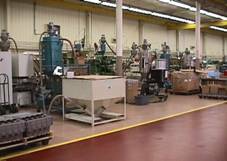 We Process a wide Variety of Thermoplastic Resins for the Automotive, office Furniture and consumer Industries. We are a solution oriented company that takes on the various challenges our customers present us and provide economical answers that meet all Engineering and Quality Requirements. We have a highly trained staff that interacts with the customer to insure High Levels of on time Delivery, Quality and Competitive pricing. In spite of the economy, JMS has survived and continues to strive to satisfy the customers. It has provided alot of work opportunitys and training for the job. Copyright © 2010 JMS Engineered Plastics Inc.